Do you want to serve up some love to your whole family this Valentine’s Day? 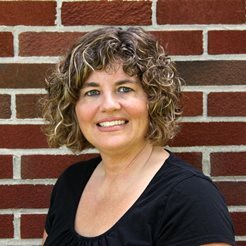 It’s always fun to let your kids and family know they’re special, and a special Valentine’s Day dinner is the perfect way to show your family how much you love them. 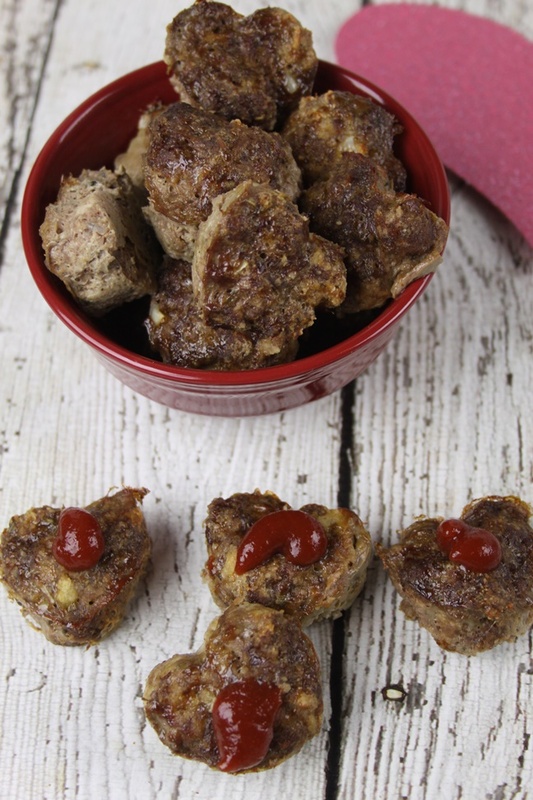 I have a couple fun family friendly heart shaped recipes for Valentine’s Day that are always a hit at our house to share with you. 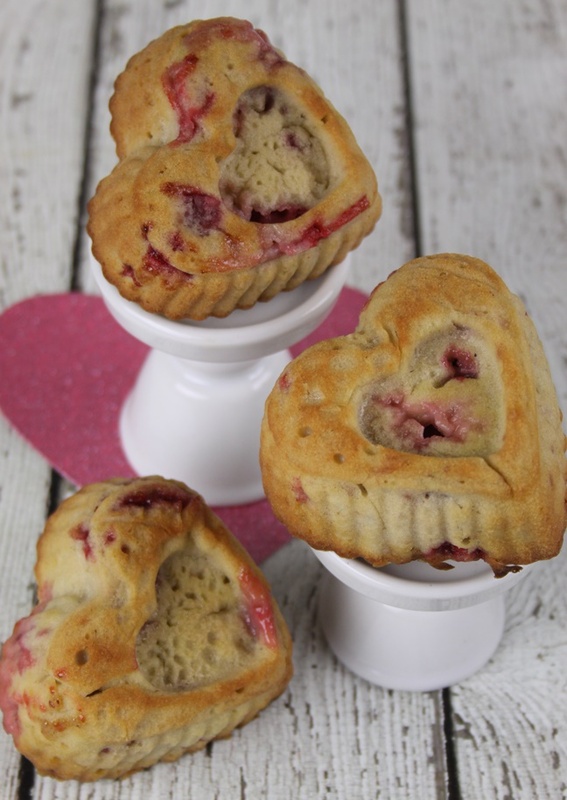 These fun recipes along with a couple heart shaped pans will have your family thrilled this Valentine’s Day. 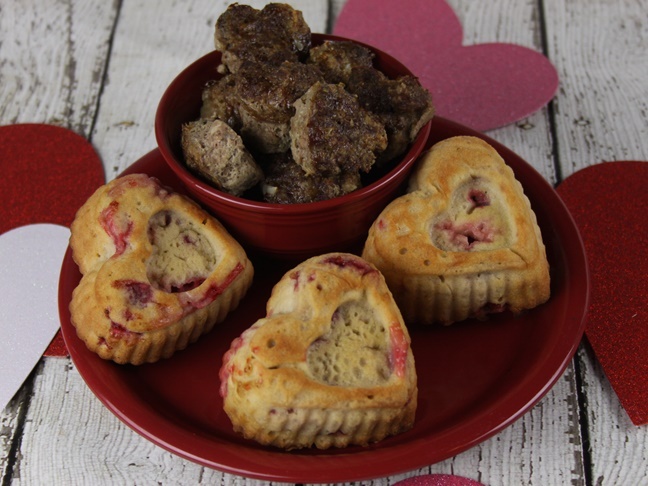 These heart shaped bite size mini meatloafs paired with yummy heart shaped strawberry muffins will be the perfect touch for your celebration! Step 1: Preheat the oven to 400 degrees Fahrenheit. Step 2: Combine the ground beef, egg, flour, oregano, Worcestershire sauce, and garlic in a medium bowl, and mix by hand or with a fork until well combined. 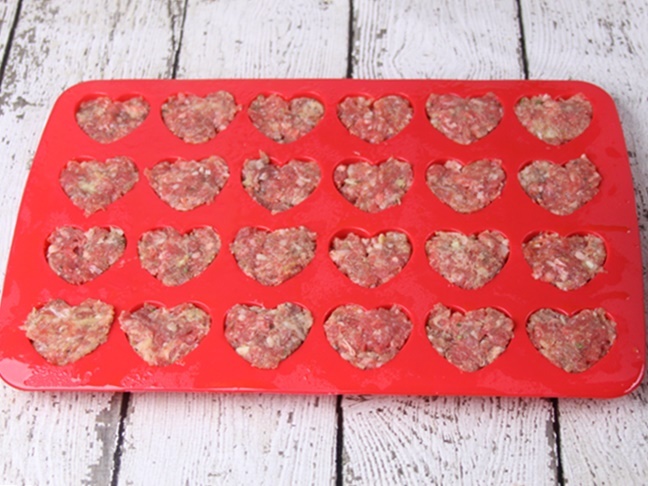 Step 3: Press the mixture into a heart shaped mini muffin pan so it is just level with the top of each cavity. Step 4: Bake at 400 degrees Fahrenheit for about 20 minutes. Step 5: Let the cooked mini heart shaped meatloafs cool for a few minutes, and then remove them from the pan and serve warm with a little ketchup. Step 2: In a large bowl cream together the eggs and sugar. Step 3: Add in the milk, oil, and vanilla. Step 4: In a separate bowl combine the flour, salt, and baking powder. Step 5: Slowly stir the flour mixture into the egg, milk, and sugar mixture. 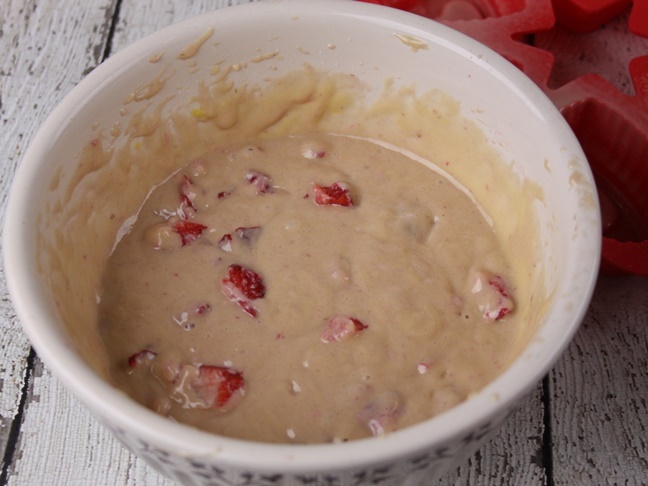 Step 6: Once all of the ingredients are well combined, fold in the strawberries. 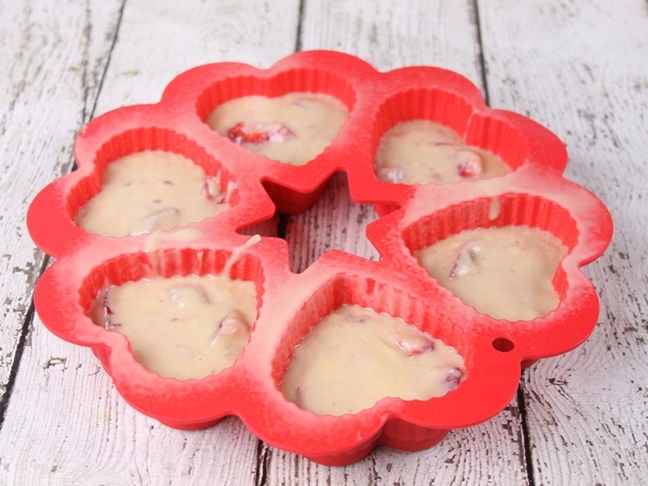 Step 7: Spray heart shaped muffin pans with cooking spray with added flour. Step 8: Fill each heart shaped muffin cavity about ⅔ full of the muffin batter. Step 9: Bake at 375 degrees Fahrenheit for about 20 minutes. Step 10: Once the muffins are baked, turn them out onto a cooling rack to cool completely.